Frank Carroll fears only one person. For part 2 of our Winter Olympics coverage, the Ice Queens felt such a kinship with our Sochi-bound skaters that they flew to Arizona, spent the day poolside enjoying the 75° weather, had a few glasses of wine, and then got to work. Just like all the athletes did. Liz and Tori recorded this one live in not one, but two different locations, so please excuse any background you may notice. Now, onto the Olympians. Virtue & Moir got underscored. Davis & White gave us headaches. Ilinykh & Katsalapov deserved it. Bobrova & Soloviev counted the days. Péchalat & Bourzat also got underscored. Chock & Bates were also underscored. The Shibutanis sold it. Adelina Sotnikova Flattlined. Yulia Lipnitskaya got pressured. Polina Edmunds had a nice debut. Ashley Wagner used both feet. 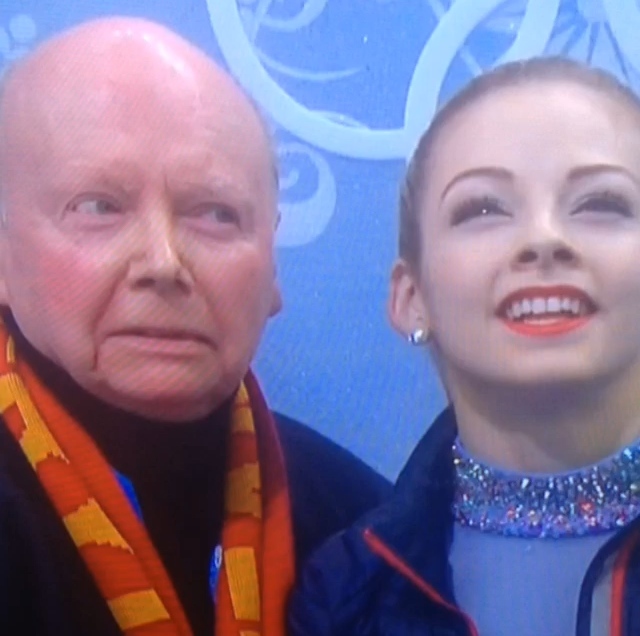 Gracie Gold “warmed” it up. Mao Asada came back. Yuna Kim arrived. Carolina Kostner cleaned it up. 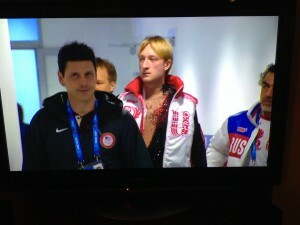 And Evgeni Plushenko just won’t go away. Harp music by JewelBeat. Download your free music and free sound effects at www.jewelbeat.com. This entry was posted in Podcast on 2014-02-27 by epicdeer. Evgeni Plushenko actually skates. Stolbova & Klimov get some NBC airtime. Davis & White crush. Virtue & Moir don’t. Terry Gannon, Johnny Weir, and Tara Lipinski show NBC how it’s done. Ashley Wagner calls ‘em like she sees ‘em. Castelli & Shnapir and Zhang & Bartholomay clean up, respectably. Volosozhar & Trankov go old school. Stolbova & Klimov lurch to a medal. Savchenko & Szolkowy stay in the pink. Yuzuru Hanyu sells. Javier Fernández gets his grades down. Jeremy Abbott turns on the auto pilot. Jason Brown builds his resume. Denis Ten interests us, even with that music. Patrick Chan continues the Canadian Curse. 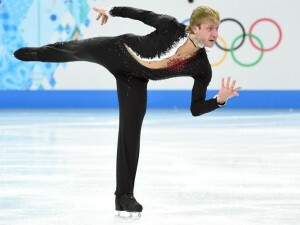 Evgeni Plushenko drops out, “surprisingly.” And Maxim Kovtun gets our sympathy. This entry was posted in Podcast and tagged Olympics on 2014-02-15 by epicdeer. Jason Brown sees his Sochi hotel room. We’re excited, yes I said excited, about these Olympics. We have so many questions that need answering. Will Jeremy Abbott get over his nerves? Will the fifth ring from the opening ceremony ever open? 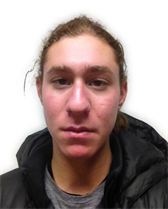 Will they please let Jason Brown take another official picture? But before we get to all that, we must, out of good conscience, talk about the European Championships and the Four Continents. Javier Fernández wins. Michal Březina, Tomáš Verner, and Brian Joubert should be getting their AARP cards. Florent Amodio ruins our stellar prediction record. Julia Lipnitskaia wins. Carolina Kostner switch hits. Volosozhar & Trankov win, as do Cappellini & Lanotte. Mirai Nagasu and Richard Dornbush go into exile. Kanako Murakami, Takahito Mura, and Sui & Han win. Kayne & O’Shea and Scimeca & Knierim take the silver and bronze. Hubbell & Donohue cycle it up. Aldridge & Eaton make their Ice Queens debut. Figure skating teams up on us. Jeremy Abbott digs. Evgeni Plushenko gets a haircut. Volosozhar & Trankov are a Frankenpair. Savchenko & Szolkowy probably won’t get the gold this time around, either. Pang & Tong hit the century mark. Duhamel & Radford and Moore-Towers & Moscovitch look good. Stolbova & Klimov will get some experience. Jeremy Abbott likes the ice. Patrick Chan may not run in front anymore. Yuzuru Hanyu jumps it up. Evgeni Plushenko may get overscored. Javier Fernandez does three quads. Daisuke Takahashi gets a pass. Jason Brown should have fun. Denis Ten fights through his illness. Davis & White should win. Then Virtue & Moir. Bobrova & Soloviev don’t impress Johnny Weir as much as we thought they would. Péchalat & Bourzat deserve to beat them, as do Chock & Bates. And Cappellini & Lanotte. And Weaver & Poje. Kim Yu-na may win, but she won’t like doing it. Mao Asada will be in there. Julia Lipnitskaia may Lipinski in. Carolina Kostner threatens for her birthday. Akiko Suzuki might sneak in. Gracie Gold is our best chance to medal. Ashley Wagner listens to us. Tori: Kim Yu-na, Julia Lipnitskaia, Mao Asada. As always, you can give The Ice Queens podcast a great rating on iTunes, you can find the Ice Queens on Facebook, Twitter, and Tumblr, you can email us, and you can buy some great merch at Cafe Press. This entry was posted in Podcast and tagged Olympics, Sochi2014 on 2014-02-08 by epicdeer.